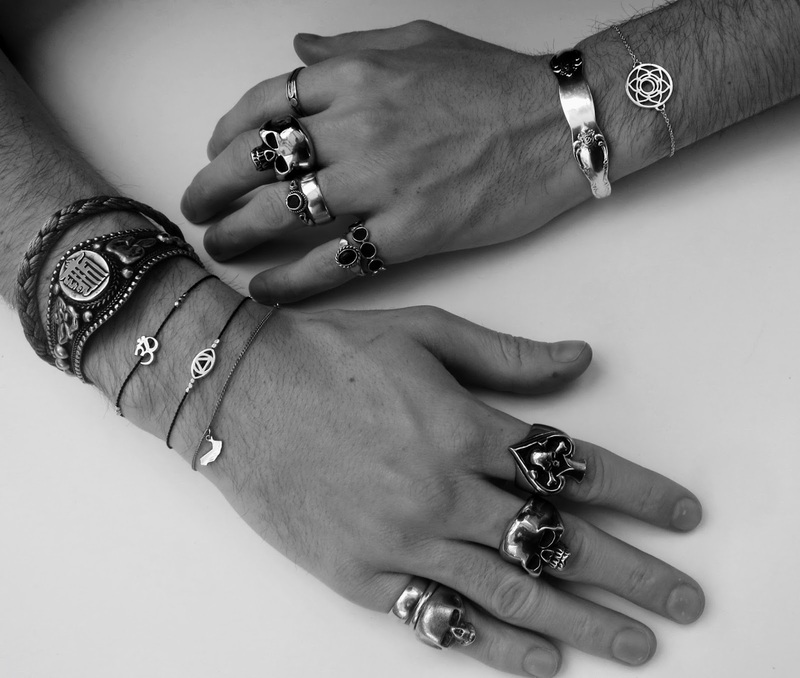 This is my second blog post about jewellery, which you all know by now is a big part of my look. 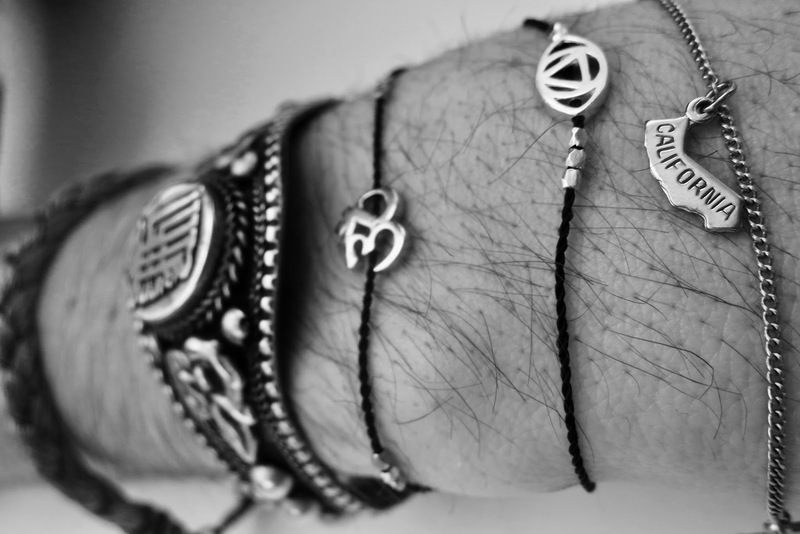 In this post, I'm going to be discussing my bracelets. If I didn’t have my jewellery on, I just would not feel right, I’d feel like there was a massive part of my outfit missing. 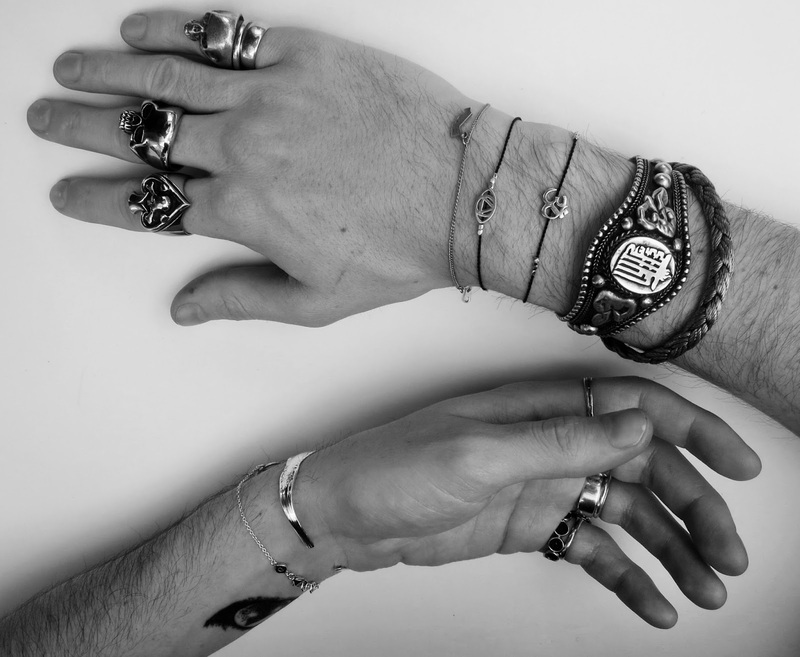 The way you dress your neck and wrists and fingers is very important. It makes or breaks an outfit either pushing the outfit into looking bloody cool or just making it look just okay. I’d personally always want the first look. Again, like I pointed out in my ring post, individual pieces that reflect your personality are by far the best way to go. In this post, I'm going to walk you through some of my favourite pieces and the stories behind them. I haven’t really got that many pieces from family members but still most tell a story or were a gift. I’ve narrowed down seven bracelets I wear the most to talk about. Let's start off with my bracelets I’ve purchased from Daisy jewellery. Daisy, which is predominantly worn by girls is such an awesome brand you really should check out. 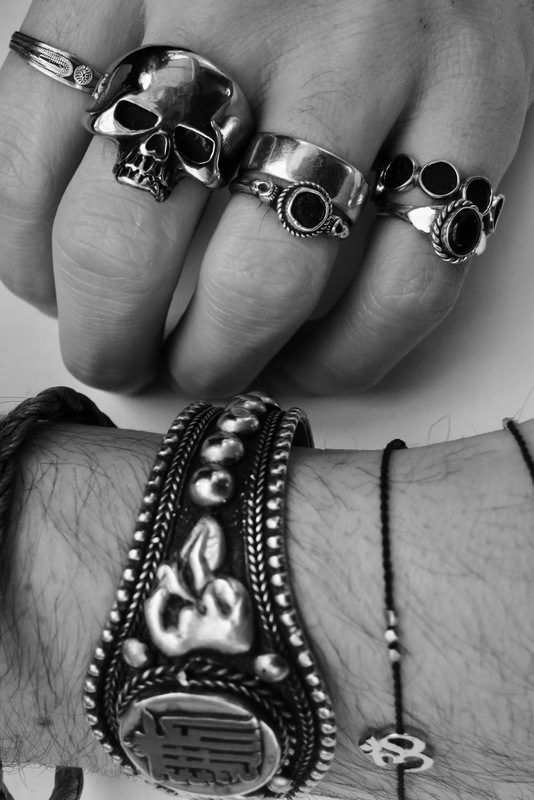 I’ve got a handful of bracelets from Daisy which are super fine and really cool. These finely crafted bracelets are some of my favourites which are actually sterling silver or plated in 18ct gold. The chakra bracelets in my personal opinion are the best, they can definitely be worn by both male and females. When you buy one of their products you get a nice little gift box plus a little brochure explaining more about the meaning behind the chakra which you've chosen, it's also a really nice little touch. 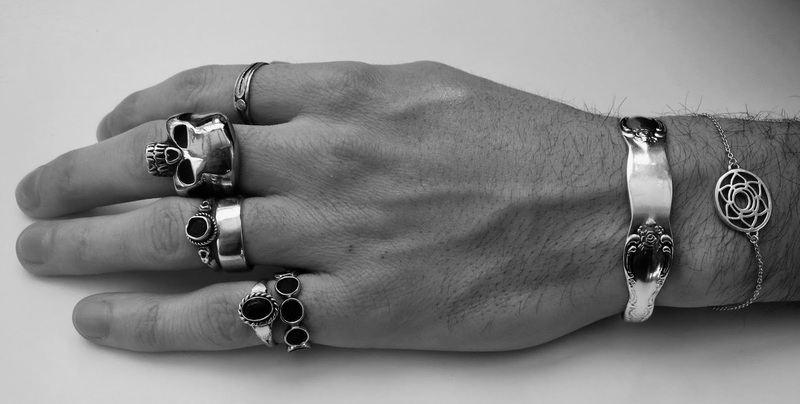 Their range of jewellery doesn't just cover bracelets, they also make some killer rings & necklaces. Their sales are also pretty good! So if it's a little too expensive for you now it’s worth waiting a while as most pieces eventually get heavily discounted before the new range comes in. Daisy has a 25% sale on at the moment. SCORE! I have three Daisy pieces, the first one I was given for Christmas years ago and ever since then I loved the brand. 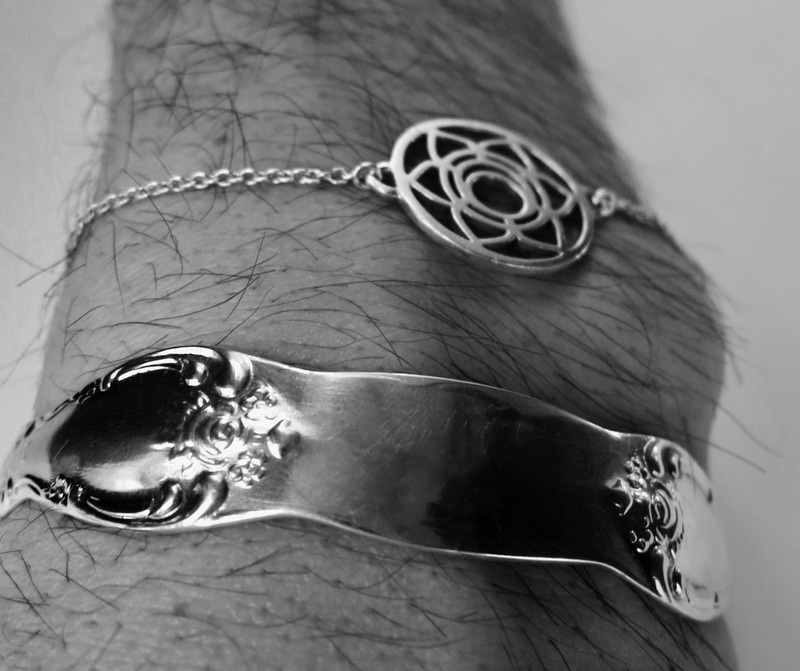 I was given the Base Chakra Chain Bracelet first, this is a small fine silver bracelet with latch fastening. The attention to detail of all Daisy products is superb. 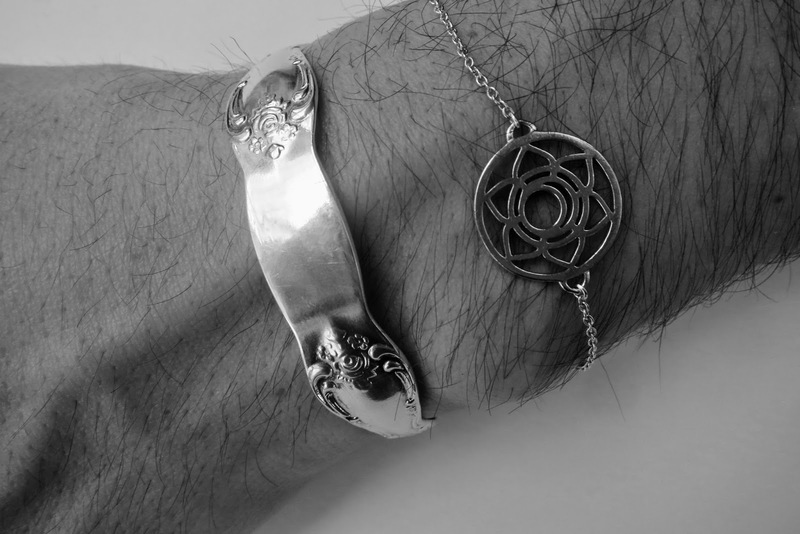 Many pieces include a small yellow stone in the latch fitting and the word Daisy engraved into the side of the chakra itself. The sacral chakra is said to serenely balance your Root Chakra. The Base Chakra is emotionally connected with self-esteem, sense of security and family values. 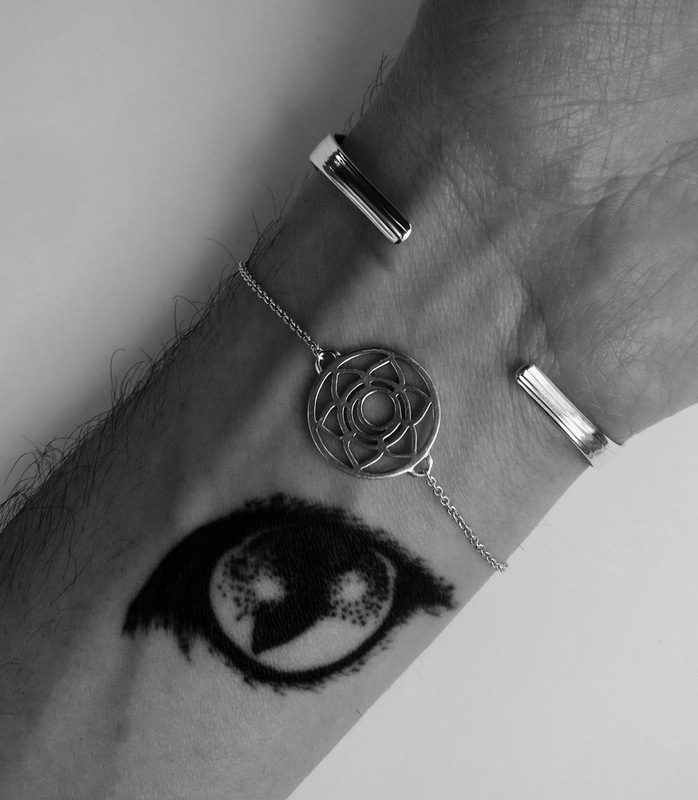 I also own an evil eye shaped bracelet too, sometimes the wrong path is taken, but it takes a strong person to learn from previous mistakes. The evil eye guards me against cynical influences. My third and latest addition to my Daisy jewellery collection is a little gold OM charm. This is mounted on a black rope with gold fastening latch and beads. 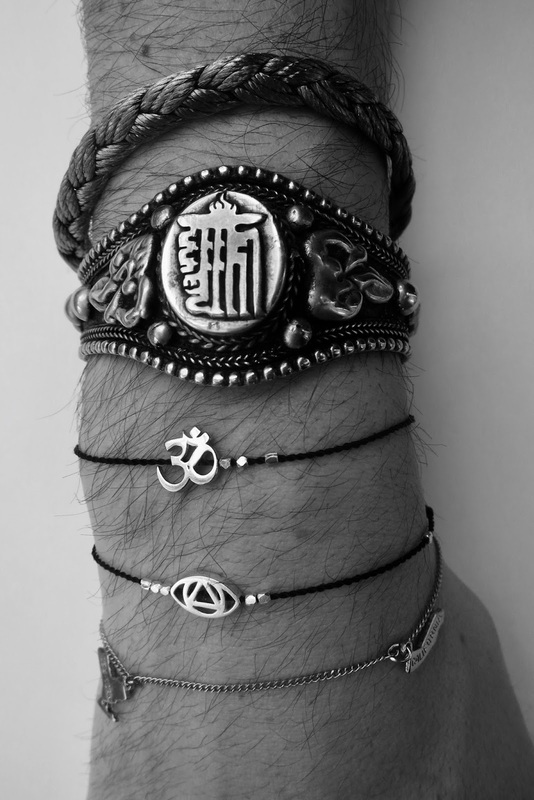 The OM symbol appears the most throughout my jewellery collection. Here’s a little background of the symbol and why I like the meaning behind it. The OM symbol which is used by many cultures such as Buddhism, Jainism, and Sikhism. 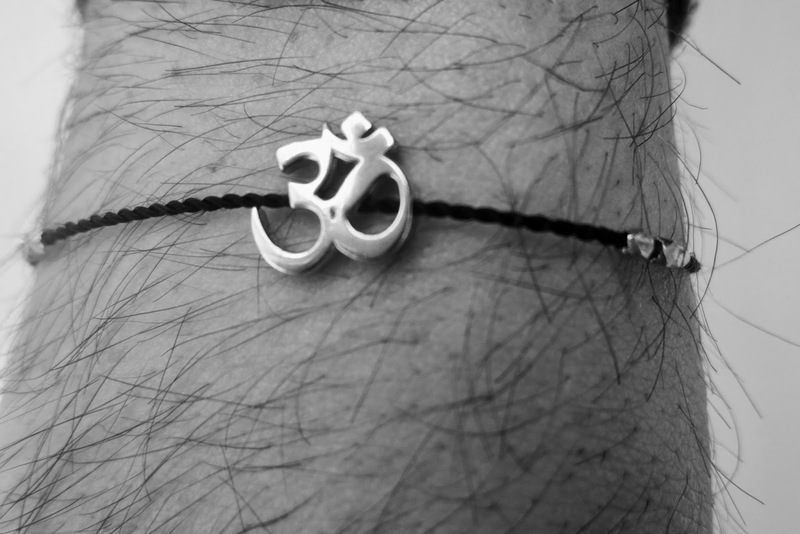 In Hinduism, the Om is said to be one of the most important spiritual symbols in the world. It refers to the soul, self within and an ultimate reality, an entirety of the universe, truth, divine, supreme spirit, cosmic principles and knowledge. It’s also said to be a cosmic sound, being the first sound in the universe, connecting everything as one. The OM is a reminder that happiness is the measure of true wealth. All in all quite a powerful symbol, which I love the meaning of. 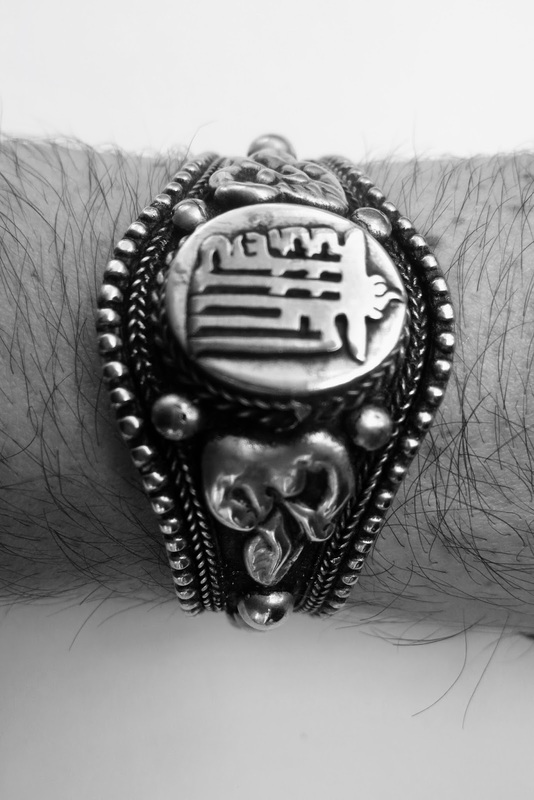 American state bracelet, I made this little bracelet in Chelsea Market in New York when I was visiting last year. I really like this bracelet as I made it myself, you had to pick your chain, beads and charms you wanted to include and make your very own little bracelet. The one girl sitting behind the table of infinite charms also owned the stall and she put your bracelet together for you. I went for a very fine gold chain, to match my others, with two little states I visited the most often. New York state, and California state. I think it looks really simple and cool plus it reminds me of the times I have spent in those two states every time I wear it. 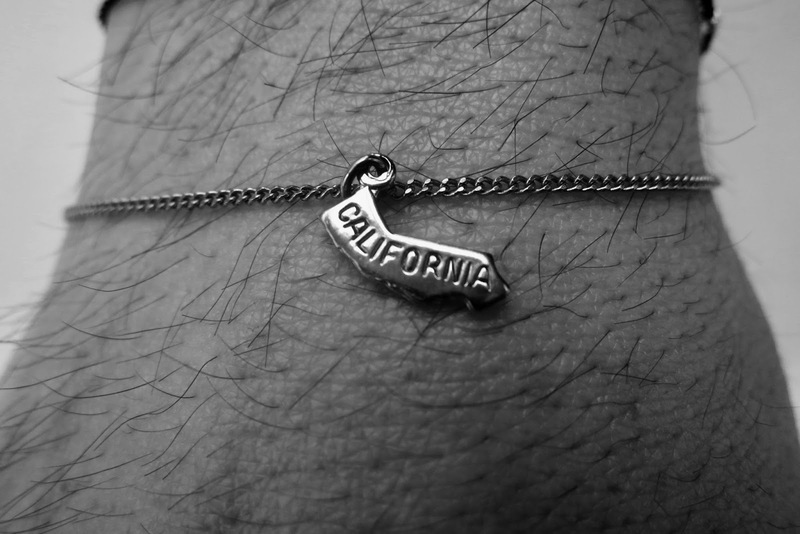 I took these photographs before I lost this bracelet when travelling back from LA. It was one of my favourites and I'm still devastated. Silver bracelet, this is another bracelet I managed to pick up in NYC. I remember finding it in a Sunday street market in the lower downtown district of the city. It was so black and grubby when I first bought it, I didn’t realise at the time how nicely it would polish up. Again I’ve stuck to my colour palette of either silver or gold. 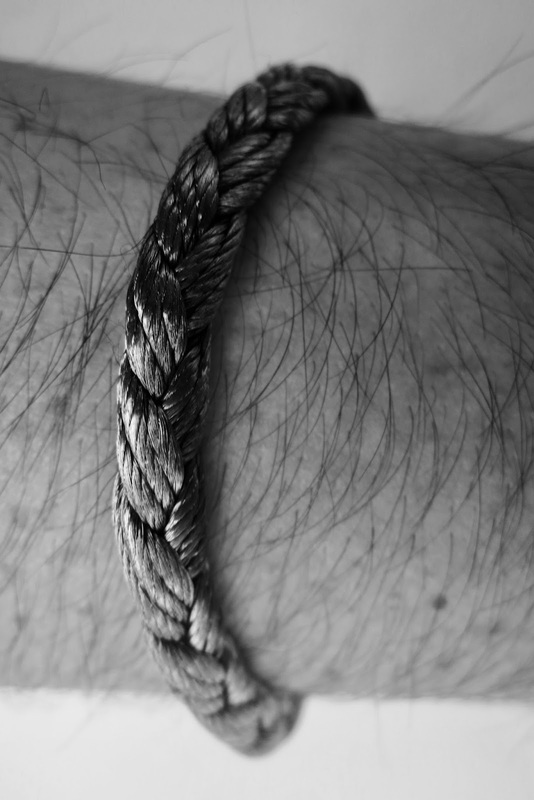 Wire rope bracelet, a bracelet that I was given from my parents after their trip to America. This bracelet is made up of lots of very fine strands of metal, woven and plaited together, made into a bracelet. I wear this bracelet all the time no matter what other bracelets I have on. Tibetan clasp bracelet, my Tibetan bracelet actually came from Tibet, well that's what eBay told me, saying that it did take forever to come, so I think the probability is quite high. My bracelet features the powerful Kala chakra monogram, which is a combination of the seven intertwined letters of the Kala chakra mantra. The sun and the moon crown the emblem, either side of Sanskrit letters, It’s silver in colour, a little bulkier than I normally go for, but I think it still fits in well with my other pieces. I’ve linked some of my favourite bracelet and jewellery company’s & websites below, check them out and start accessorising your wrists. Awesome post.Thanks For share this post with us. To make it mix along with your vogue, you ought to confine mind that manicures and bracelets will oppose each other. 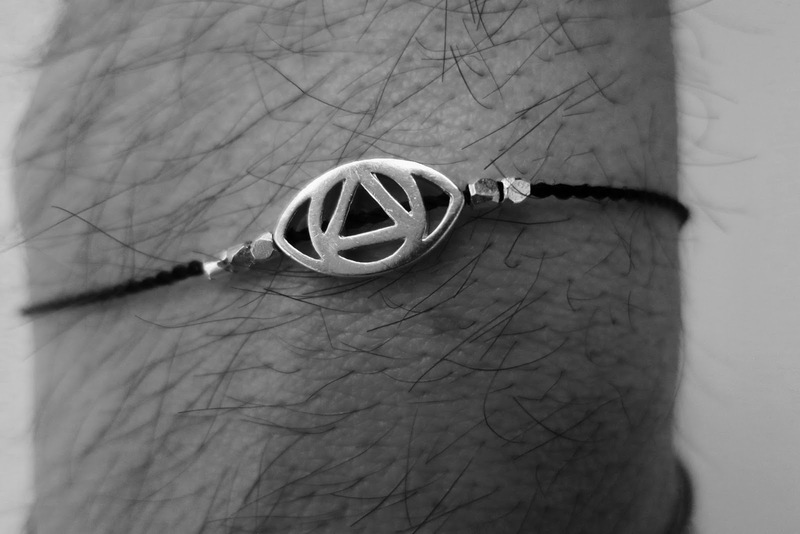 metallike cosmetic String Bracelet compliments gold and silver vogue bracelets so not obtaining the Kabbalah red string bracelet within the means. Pastel polish coordinates best with crystals and rhinestones bracelets that you'll be able to dead combine with the Kabbalah red string bracelet.